Sports Drinks – Good, Bad or Hype? Hydration is ESSENTIAL when participating in any form of exercise. In this regard sports drinks are an essential piece of kit. Whilst energy drinks are widely marketed to the sporting and general population with claims to enhance performance. Sports drinks are different to energy drinks. They are flavoured drinks which often contain carbohydrates, minerals, electrolytes and sometimes vitamins. Sports drinks are sometimes also known as isotonic drinks. Examples of these drinks include Powerade, Lucozade Sport and Gatorade. Whereas an energy drink typically contains stimulants such as caffeine and guarana with varying amounts of carbohydrate, protein, taurine, guarana, ginseng and other minerals. An example of this type of drink are Red Bull energy drinks. These two different have distinctly different functions. 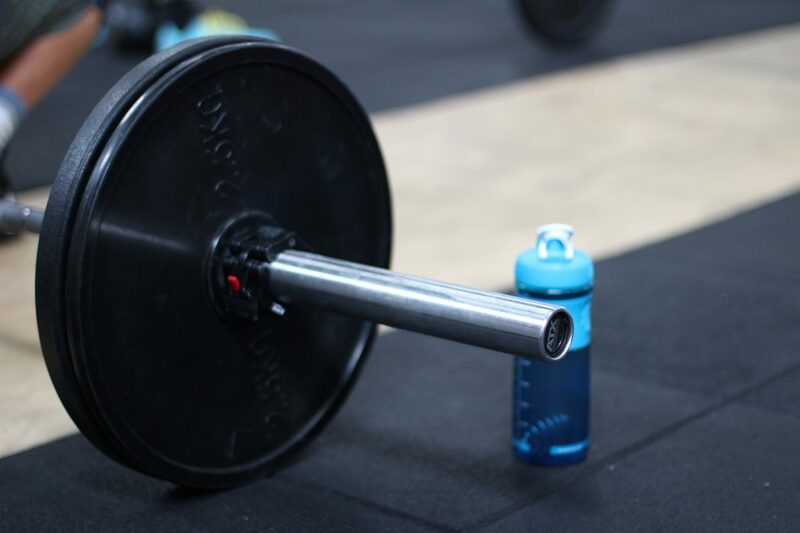 Energy drinks are widely marketed to the sporting and general Sports drinks are marketed at individuals suggesting that they optimise athletic performance and replace fluid and electrolytes lost in sweat during and after exercise. The manufactures claim that these boost energy, decrease fatigue and therefore enhance performance and concentration i.e. mental alertness. It would appear from their advertising that these sports drinks companies are targeting elite athletes and organisations. This is in the hope that the general public seeing their athlete/sports heroes using these drinks will buy the product in the hope of emulating their performance. More recently, companies have used pop stars, such as Tinie Tempah, to market to younger audiences. I don’t know about you but I’ve seen people guzzling sports drinks casually when not exercising. Surely this can’t be healthy with taking in all those extra calories. Indeed, frequent and excessive intake of these calorific drinks can increase the risk of obesity in individuals. A 2011 report from the American Academy of Pediatrics advises children and adolescents to be very selective when considering a beverage to hydrate before, during and after exercise to prevent excessive sugar and calorie intake which could encourage dental problems and obesity. So what other alternatives are there? Water is essential to your daily hydration, especially for athletes training each day. Hydration is necessary for maintaining cardiovascular, thermoregulatory and other physiological functions during exercise and daily routine. Dependent on environmental conditions (heat, humidity, sun exposure) daily water needs during exercise will quickly increase. Additionally exercise time, intensity, individual sweat rates and heat- acclimatization will play a role in hydration needs. A deliberate effort should be made to increase water intake during exercise to avoid dehydration and hyperthermia (overheading). Let’s call it ‘prehydrate’ – to drink ahead of thirst. Some have advised that you prepare yourself for exercise hydration, (i.e. train your gut to tolerate more fluid,) so when it comes to a game your body is used to taking on more fluid. But it is also important to ensure you are adequately hydrated prior to training or a game so you are going in at your best. You can use water as a base to create your own sports drink. But what does research say? Unfortunately, research is limited when it comes to backing up the claims of sports drinks. Problems found with current research are: small sample sizes – thus limiting the applicability of results; poorly designed research methodology – limits the confidence in product claims; a manipulation of nutrition prior to research – many studies starved participants prior to carrying out the research making claims unlikely; changes in environment lead to variability in results. But there is another problem. Many journal editors have links to sports drink manufacturers. For example the American College of Sports Medicine (who owns the Journal Medicine and Science in Sports and Exercise) has a financial relationship with Powerade and Gatorade. Therefore it is no surprise that the editor in chief of this journal has been a key player in hydration research. This is the same for several editors of other sports medicine journals. The influence of the sports drink industry over research looms large, but whether this influences the research outcomes itself can’t be said. However, some researchers have reported that getting negative studies (re hydration) approved is very difficult. Does funding from the sports industry have something to do with this? It has been noted that there is a marketing battle between bottled water companies and sports drinks. They both agree on the need for hydration, yet not on what is best and necessary. The bottled water industry warns that individuals drink too many sugary drinks, thus consuming unnecessary calories. Whereas Luzozade claims water alone is insufficient for hydration unlike sports drinks, but doesn’t say what the benefits of their sports drinks are. My advice is to take all the marketing mumbo jumbo with a pinch of salt. Do your own research, and if serious about your sports training regime then talk to coaches in the know as to what is most beneficial to you. Alford, C., Cox, H. and Wescott, R., 2001. The effects of red bull energy drink on human performance and mood. Amino acids, 21(2), pp.139-150. Cohen, D., 2012. The truth about sports drinks. BMJ: British Medical Journal (Online), 345. Higgins, J.P., Tuttle, T.D. and Higgins, C.L., 2010, November. Energy beverages: content and safety. In Mayo Clinic Proceedings (Vol. 85, No. 11, pp. 1033-1041). Elsevier. Larson, N., DeWolfe, J., Story, M. and Neumark-Sztainer, D., 2014. Adolescent consumption of sports and energy drinks: linkages to higher physical activity, unhealthy beverage patterns, cigarette smoking, and screen media use. Journal of nutrition education and behavior, 46(3), pp.181-187. Schneider, M.B. and Benjamin, H.J., 2011. Sports drinks and energy drinks for children and adolescents: are they appropriate?. Pediatrics, 127(6), pp.1182-1189. Seifert, S.M., Schaechter, J.L., Hershorin, E.R. and Lipshultz, S.E., 2011. Health effects of energy drinks on children, adolescents, and young adults. Pediatrics, pp.peds-2009.